“Look at that! You get to pour your own chocolate in here.” Laura Dockrill is marvelling as she spirals her jug of warm, dark drinking chocolate into the awaiting mug of frothy milk. 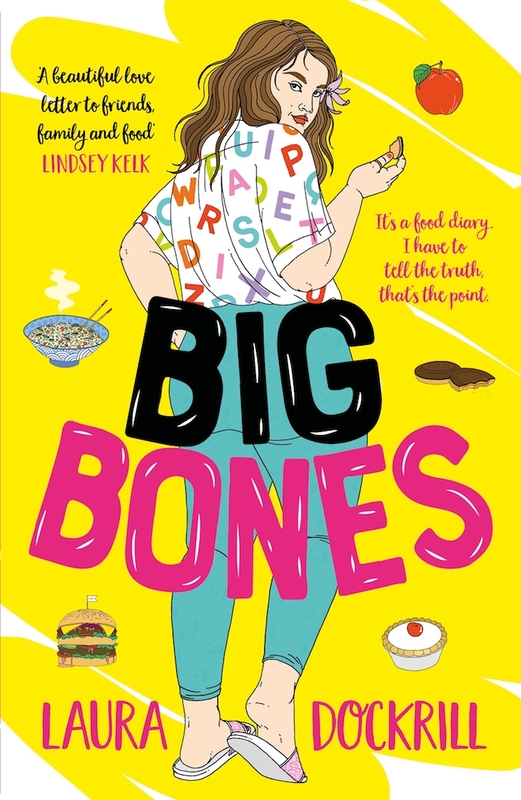 “It’s so good!” For a moment, it feels like we’re in Laura’s new young adult book, Big Bones, whose heroine, Bluebell, just loves her food: whether crumpets leaking with butter, salty caramel slathered millionaires shortbread or chips so vinegary that they make your nose hairs shrivel. In our early spring issue, we had the pleasure of speaking to writer Laura Dockrill. Her new book Big Bones – out today - celebrates the pleasure in eating. As Laura says, “There’s no such thing as a perfect body but there can be a perfect meal and you can enjoy that”. Needless to say, it made the entire team very hungry indeed. Laura was kind enough to share her favourite recipe for pesto. Big Bones is not just a love letter to food and the body; it is also to show how rewarding it is to cook and eat. It doesn’t have to be hard or fussy or posh or embarrassing to cook. I want to inspire people, kids, to enjoy food. And so the recipe I’ve chosen to share is simple, quick, easy to make, fragrant, vibrant and versatile and can turn any cheap carby comforting canvas into a wholesome meal that looks and tastes impressive. It’s the way I like to cook. Messy and natural. And if you are able to grab, rip, squeeze, pinch and smush you can make this without even touching a flame or a knob of the oven! I made this for my partner Hugo, after a lot of beer, smothered over pasta. He said, “oh my god, this is the best meal I’ve ever had.” (No, it was not the beer talking) and he is not one tincy bit interested in cooking, but this is something he can now whizz up himself in under a minute and saves the day every time. It lasts and it’s so much better and tastier and cheaper and vividly GREENER than the jarred stuff. parmesan the best thing about this is because the pesto gets smushed up you don’t have to fiddle around with the small fiddly bit of the grater! All you have to do is simply bring all of this together. Use a Nutri Bullet or blender if you have one for a 30 second smooth sauce or you could bash it up in the pestle and mortar or hand mix for something chunkier. The thing I love about this is you can add as you go, more lemon for acidity, no pine nuts for pasta for something smoother, add nibs of toasted walnuts or pecans for a salad, a handful of spinach for extra green and goodness and chilli flakes work well too. Then stir into hot pasta, smear over hot roast potatoes, drizzle over a green salad, slather over bread for a toasted cheese sandwich. A great invention are those Jus-Rol puff pastry sheets, you can smear this homemade wonder over a sheet of this stuff and accessorize with olives, sun dried tomato, artichoke, mozzarella for an impressive pizza/tart or roll into little swirls for a snack that makes you look SO FANCY! You could add to yoghurt or houmous for dipping (which is also super easy to make), top over roasted vegetables or just stuff it in the corner of a lunch box and visit with bread or whatever’s in there like a little pesto watering hole. Big Bones by Laura Dockrill is published by Hot Key books and is out today. And pick up a copy of our early spring issue to read the full interview with Laura.